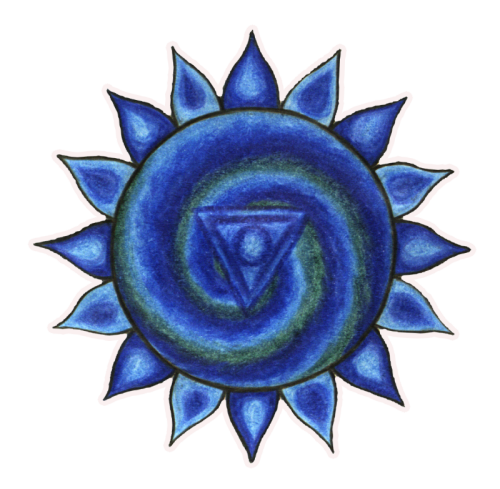 The Vishuddha Chakra or Throat Chakra is associated with the element ether. After the traditional teachings, it is also connected to the magical word, the Mantra – the subtle vibrations of Mantras are thought to be transmitted by this element. 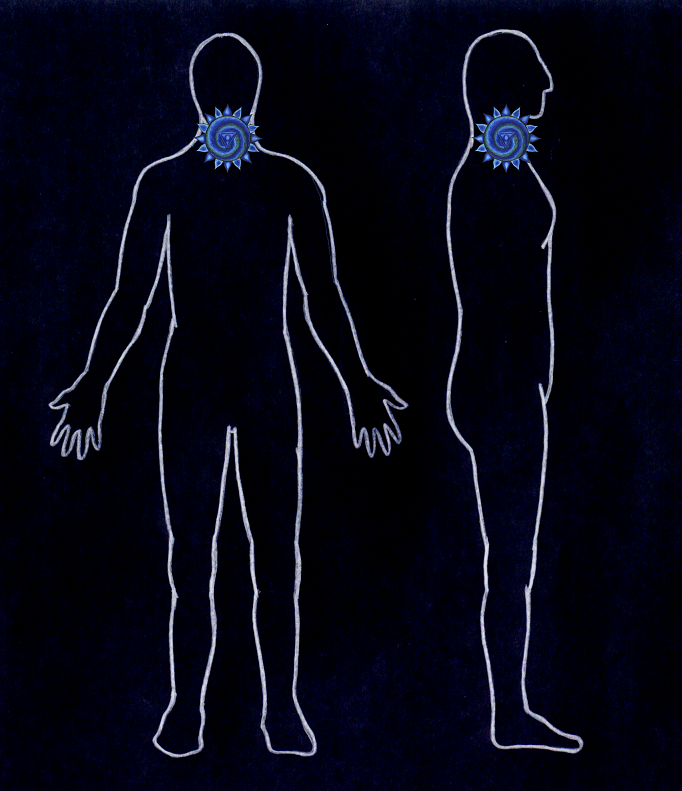 The Vishuddha Chakra’s connection with the vocal cords also seems to be linked to this function. It is often shown in a blue colour.